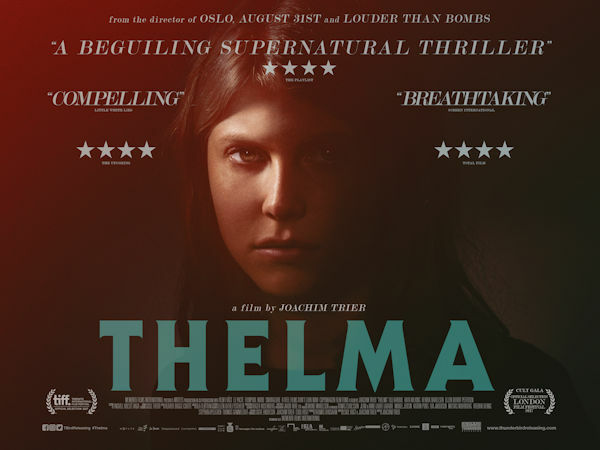 From acclaimed director Joachim Trier (REPRISE, OSLO, AUGUST 31st, LOUDER THAN BOMBS), THELMA is a supernatural thriller about a young woman who, upon falling in love for the first time, discovers that she has terrifying and inexplicable powers. Thelma (Eili Harboe), a shy young student, has just left her religious family in a small town on the west coast of Norway to study at a university in Oslo. While at the library one day, she experiences a violent, unexpected seizure. Soon after, she finds herself intensely drawn toward Anja (Okay Kaya), a beautiful young student who reciprocates Thelma’s powerful attraction. As it becomes clearer that the seizures are symptomsof mysterious, often dangerous, supernatural abilities, Thelma is confronted with tragic secets of her past, and the terrifying implications of her powers. Trier’s fourthfeature hastaken Toronto International Film Festivalby storm. 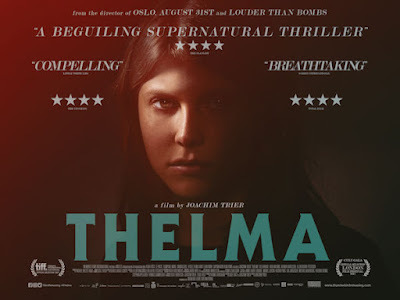 Praised particularly for its visual stylings and direction, as well as Harboe’s commanding performance, THELMA is a powerful drama exploring the unexplainable. THELMA is released to UK cinemas on November 3. Willard and Ben - UK BD Box-Set review. Director Damien Leone talks about "TERRIFIER"! Director Mathieu Turi talks "HOSTILE"! Mayhem Film Festival 2017 Report - Day 4. 68 KILL - on UK DVD and Digital November. THE SHINING - in UK cinemas this Halloween. Mayhem Film Festival 2017 Report - Day 3. Mayhem Film Festival 2017 Report - Day 2. Mayhem Film Festival 2017 Report - Day 1. "SIGHTINGS" - coming to US VOD November! "The Unseen" - at UK cinemas December. Circus Kane comes to US Digital and DVD. ASH VS THE EVIL DEAD - Series 2 comes to UK Disc. THE HOWLING out on UK Blu ray Monday 9th Oct.